Traveling across Canada is such a magical experience, in a week you can go from being surrounded by the ocean, to being surrounded by flat farmland, to being in the mountains. I think that everyone should get the chance to see Canada from one end to the other at least once, and with a little planning it doesn’t have to be the most expensive thing you ever do! So now that we’ve spoken about taking the train, and the pros and cons of that mode of transport to get across the country, let’s talk about flights and driving in Canada. Flying in Canada isn’t as expensive as it was a few years ago, thanks to domestic airports popping up in more cities, but sometimes it’s still a bit too expensive for my liking. One tip that you might take advantage of is flying into the States, and then deciding what to do from there. Say you want to fly from Halifax to Toronto—oftentimes, it’s cheaper to just fly to Buffalo, and then rent a car and drive up to Toronto instead! There’s also some pretty good train lines that run from the States up to central Canada, so you could take advantage of that, too. But just like other modes of travel, the earlier you book, the better. If you have your own car, nothing beats a road trip through the country, though you will have to have a lot of time on your hands or be able to handle driving for several hours at a time. There are lovely rest stops all along the Trans-Canada Highway, and in Ontario at least, there’s always an A&W in them so you can grab a burger or four, but it’s still tiring work. I’ve done the drive from Halifax, Nova Scotia, to Kamloops, British Columbia, in five days… and I’d never do it again if I can help it! Budget at least a week if you want to be able to do more than spend the night at various stops along the way; but if you just want to get from point A to point B, then 5 days is probably fine if you can handle it. 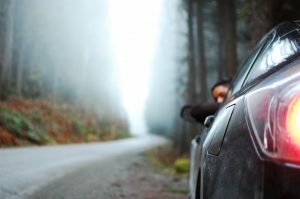 If you don’t have your own car, things will get significantly pricier, especially if you’re under 25, since many car rental companies add on a Young Drivers fee. If you do choose to rent a car, shop around, and check to see if your credit card provides you with car insurance—mine does, and it saves me a decent chunk of change anytime I or my partner have to rent a car. Before we go on in the series, I have to say that I have no experience traveling requiring special accommodations, so I can’t advise disabled passengers or other passengers who might need a bit of help when traveling using my own personal experience because I’m able-bodied. However, some people in my life have various conditions that require accommodations, and according to them, the best methods of travel for them is either driving themselves across the country, or flying, because you can get assistance from airports and book certain seating in case you need it. The train is hit or miss in terms of how respectful people are towards people with disabilities or who need more room than others, and public transit can be a nightmare even for able and thinner people, so I am inclined to agree with them on their advice.